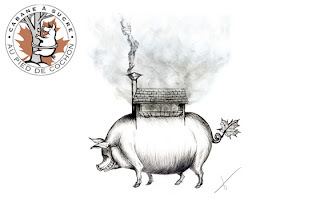 Martin Picard, owner of Au Pied de Cochon in Montreal has just recently published his cookbook, AU PIED DE COCHON SUGAR SHACK. I had the pleasure of recently purchasing the cookbook and just spent the past hour soaking up all it has to offer! 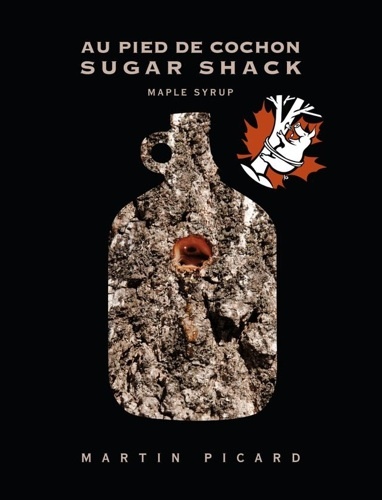 The book is a beautiful homage to Maple Syrup and the "Sugar Shack." Picard purchased a real sugar shack or cabane a sucre, just outside of Montreal and it is here that he produces the maple syrup. On the property he now has revamped the previous restaurant, calling it the Sugar Shack - which has become now nearly impossible to get into! They are booked solid for I think four years, and this season (Feb 24 - May 6), reservations were gone within 10 hours of accepting them! The food in the book is so Canadian, so nose-to-tail and so incredible. 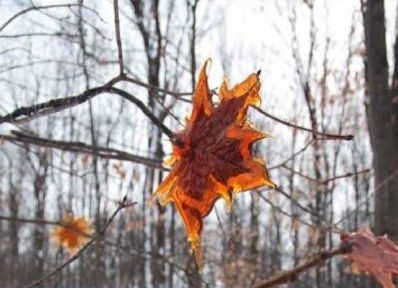 One of the chapter pictures is of a girl in a bath of maple syrup and that is basically how you feel after reading this book, soaked in maple syrup! The recipes are wonderfully written, they make sense and have great pictures to show you step by step for the harder ones. The brioche recipe and cinnamon buns are just calling my name and I hope to test them out next week! The book celebrates Picard's cooking and it is evident of his commitment, love and appreciation of food. He has taken a Quebec tradition of maple syrup and reinvented the experience of dining and celebrating a true Quebec specialty. But to call Picard's book just a cookbook is a bit misleading. There are not only over 100 recipes which are seriously just fascinating to read (such as squirrel sushi or Confederation Beaver) but there is a collection of outrageous photos, thought provoking illustrations, a sugar shack diary and an extensive story on the process of making maple syrup! I hope you enjoy the "read" as much as I did! !